Havana is the living, breathing heart of Cuba, and one of the most diverse, engaging, and friendly cities we've ever been to. 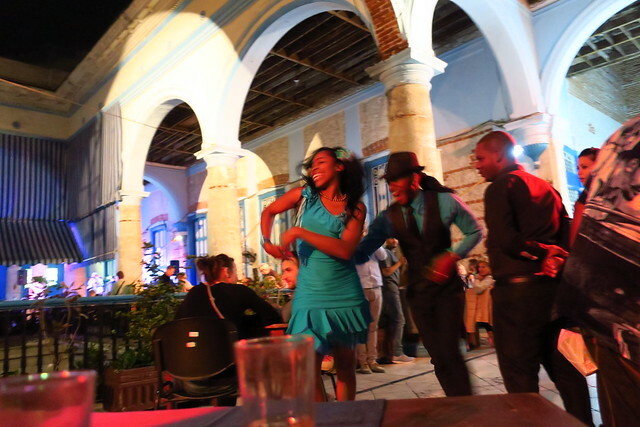 Perhaps more than anywhere else we visited on the island, Havana produced the feelings of uniqueness, independence, and distance that I mentioned in my last post. 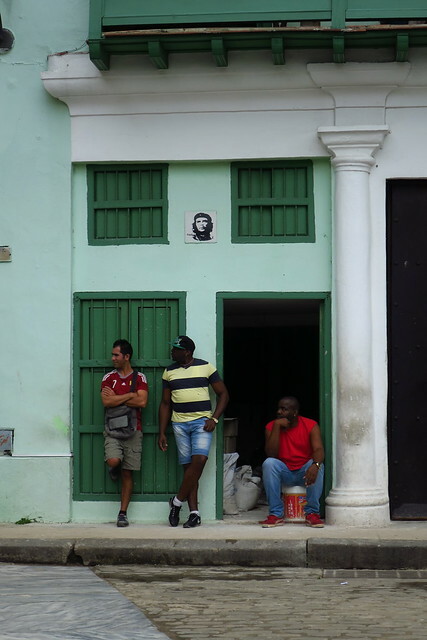 Cuba's capital is a patchwork of hundreds of small neighborhoods and communities, most of which tourists never set foot in. We spent five nights there, and easily could have spent a month without feeling the need to walk the same street twice. Although the city is rife with package tourists and the museums, monuments, and historic buildings they're shuttled between, our most lasting memories may be from sitting in restaurants, bars, and parks, or walking down crowded streets, and being approached by friendly, outgoing strangers wanting nothing more than to be helpful ambassadors for their city (well, okay, some of them wanted to sell us something or pick up a commission, but even they were friendly and took no for an answer with a welcoming smile). A poet and journalist in his mid-seventies, short, with a long, white ponytail, white beard and nicotine-yellowed mustache. He quoted Walt Whitman, then went on to tell us of when he was reporting in Rwanda and nobody would believe he was Cuban because of his light skin. When I wished him good luck with the next seventy years, he replied "I don't think in time". A New York Times and AP photojournalist who had been living in and covering Cuba and the Castro family for 30 years, and his Roman film director friend, with whom we shared a table at a trendy restaurant. They chided us for not getting further off the tourist track in our short ten day trip, before admitting that they were headed to a fancy beach resort to discuss plans for a movie they would work on together. They shared their guarded optimism for the coming changes to the tourism sector. Countless people who approached us just to practice their English, make sure we weren't lost, or help us find what we were looking for. The right-wing dissident who said he was discriminated against because of the writing he has done for an American-funded "radical" newspaper. We had an interesting conversation in which I found myself in the uncomfortable position of arguing for the side more in line with the goals and beliefs of the Revolution, while he countered with his pro-Capitalist beliefs of economic self-determination and that greed is a natural part of the human character. "If I have two of something and you have none, why should I give you one of mine?" "Why should a manager and a janitor be paid the same?" 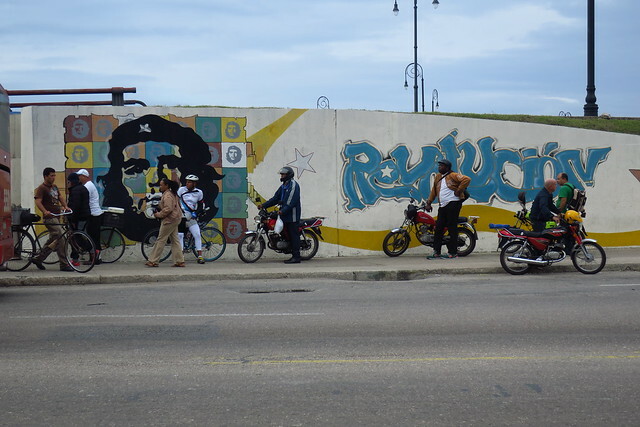 After wandering around a local Havana neighborhood that's not totally used to tourists, we had a bit of trouble figuring out where to pick up a shared or private taxi back to our neighborhood. After standing on a few promising but ultimately unsuccessful street corners, we were befriended by an incredibly friendly gentleman in his sixties who spent about ten minutes with us, talking with us about the US and his son who lives in Miami. 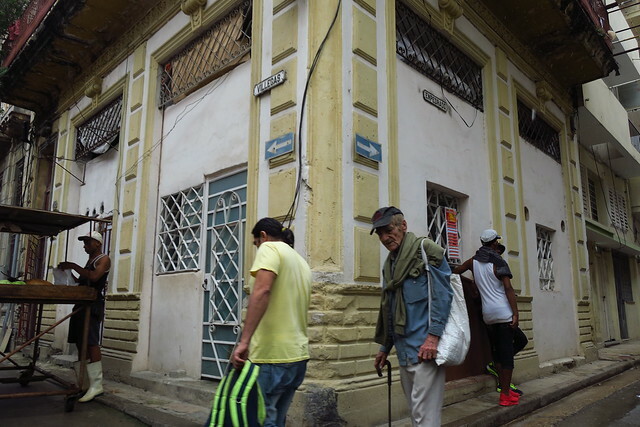 He walked us to the right intersection, advised us on how to take the bus, and even gave us bus fare because we didn't have exact change; we kept chatting long enough that a cab drove by, and he carefully negotiated a price with the driver to help us avoid the gringo markup. He was so set on not accepting anything for his help, that he almost refused to accept the bus fare in return! 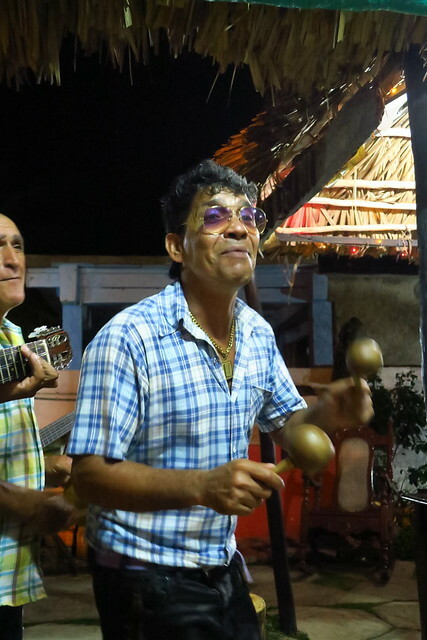 Lazaro, a teacher in a sleepy Bay of Pigs beach village. He shared his thoughts on community leadership and communal responsibility, and his thoughts on the evolving Cuban-American relationship: "It used to be 'Cuba sí and los Yanquis no.' 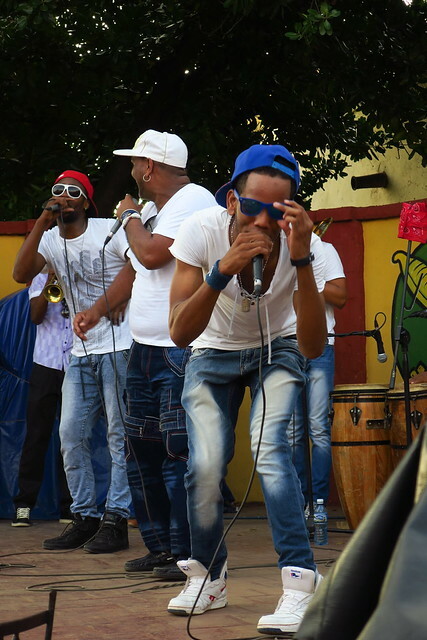 Now it's 'Cuba sí and los Yanquis tambien'" and "Everyone worries the Americans will ruin Cuba. We can ruin it ourselves!" The wife of our host in touristy Trinidad, short with dark hair, a round stomach, and a perpetual smile, who said that although many people were poor and struggling, there was much to be proud of in her country: "Like anywhere there are good people and bad people. We don't have guns or drugs. If your neighbor is hungry, you'll share some of what you have." 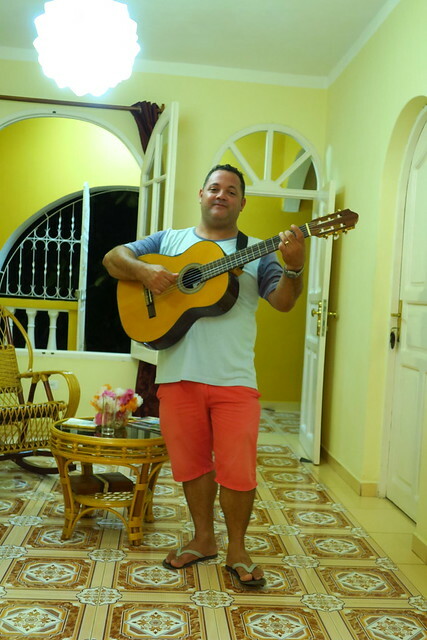 Her husband Osmel serenaded us every night on his guitar, invited us to see him and his friends in concert, and whipped up the best meals we had in Cuba. Their company was a highlight of our trip. 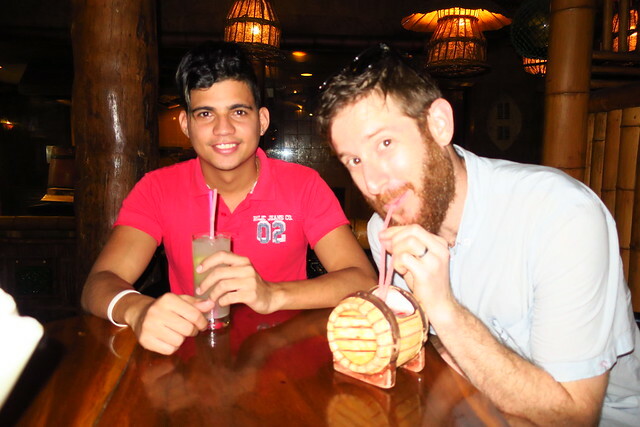 You'll hear again and again that one of the main reasons to visit Cuba is its people, and that turned out to be true in our experience. 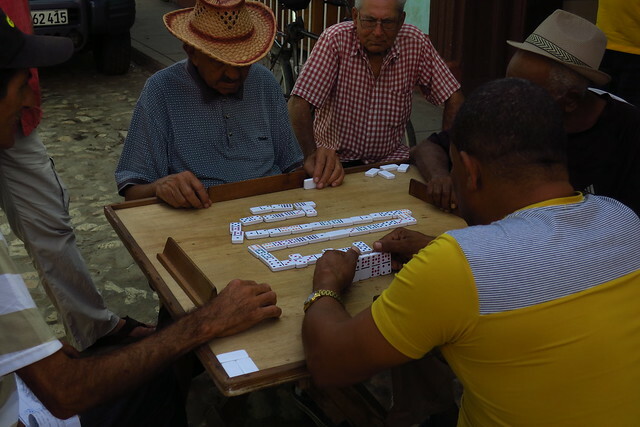 With an open mind and a little bit of Spanish, the best experience you can have in Cuba is not salsa dancing, scuba diving, or driving in a classic Chevy around Old Havana, but striking up a conversation with a Cubano you meet on the sidewalk.